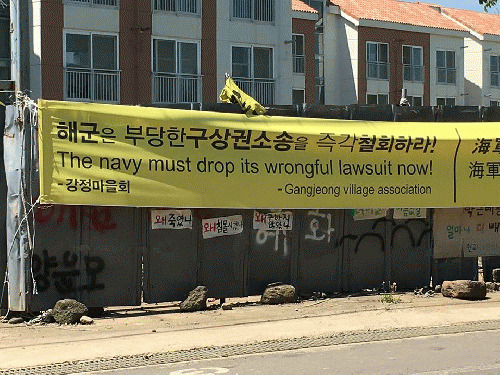 The South Korean Navy filed a civil lawsuit against 116 individual anti-base protesters and five groups including the Gangjeong Village Association, demanding $3 million in compensation for alleged construction delays caused by protests over the past eight years. 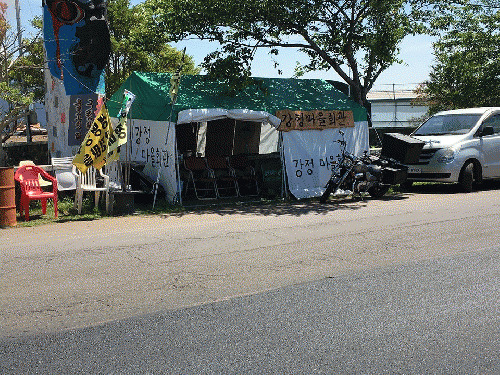 In one of the longest, strongest protests against more military bases in our world, the villagers of Gangjeong, Jeju Island, South Korea have achieved international recognition of their spiritual and corporal resistance and persistence in trying to preserve unique natural features of their community, the Gureombi Rocks. Samsung was the primary contractor for the $1 BILLION dollar project and who filed a lawsuit against the government for slow down of work caused by the protests. Samsung's profit margin was impacted by the protests! Villagers are very angry about the lawsuit that, if upheld, would bankrupt everyone named. To show its displeasure to the Navy, the village moved its City Hall to a tent on the main road across from the entrance to the base. The Vice-Mayor holds city meetings in the tent and sleeps there! 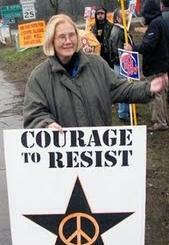 Lawyers for the activists wrote that the navy's lawsuit is "an unjustified declaration of war against the people. When the reckless development of the state and large construction companies threaten the right of citizens to a peaceful existence, the right of citizens to oppose this must be guaranteed as their natural and constitutional right since sovereignty rests with the people. To condemn this action as illegal is to delegitimize the foundation of democracy." 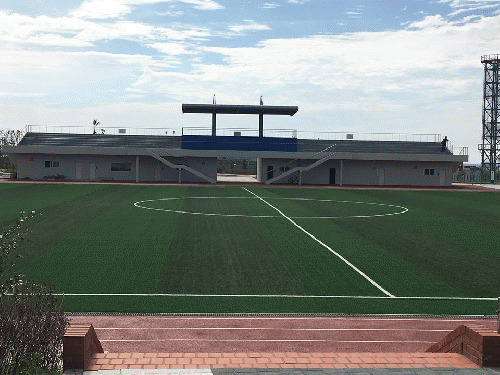 To buy off public support for the $1 BILLON dollar unnecessary naval base, the South Korean government built a huge sports complex for use by the local community. The facilities are located on the upper part of the area condemned for the naval base. The area has a track and field sports stadium, a 50-meter indoor swimming pool, indoor gymnasium, library, computer center, two restaurants, a 7/11 convenience store and a hotel on the top floor. Villagers commented that major sports facilities were built in the nearby city of Segiwopo and have been used by them for years. They say that these facilities will not make up for the loss of the cultural and spiritual areas dynamited and concreted forever. That's why the protests continue at Gangjeong Village! 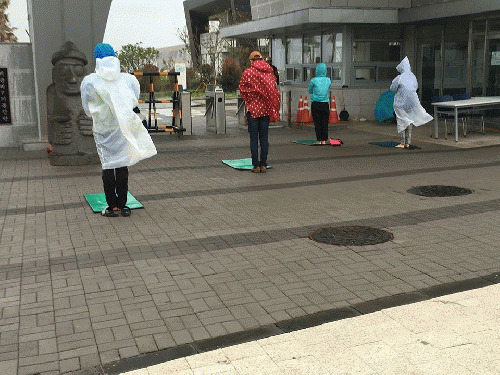 Every morning for the past eight years, at 7am, rain, snow or good weather, Gangjeong Village activists reflect through 100 bows to the universe on their lives of activism for a peaceful world while confronting the war machine at one of its gates.